'Mad over you' crooner, Runtown has broken his silence after being accused alongside his brother of duping a white woman. 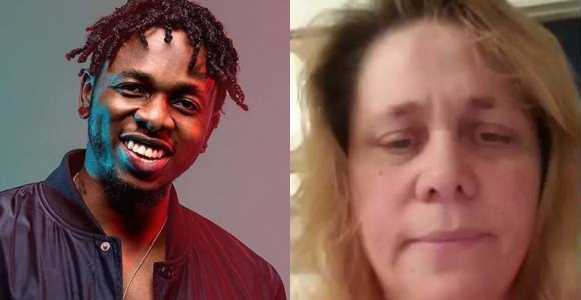 After being accused of fraud to the tune of N45 million ($124,000) by a US-based woman identified as Shawn Rene, Nigerian musician, Runtown has finally reacted. Recall that Rene had taken to social media sharing receipts, screenshots and a video to back up her accusation against Runtown and his brother. She went further to say: “I and my fiancé have used over $18,000 for both legal fees tickets and hotel bills already. He had to even travel to Nigeria to make a report also. This past months, I have been dealing with cancer and chemo and catching flights from Texas to New York regularly just as a result of my fiancé trusting his fellow country man so much. I gave this people $107,000 and they only paid $150000 to my fiancé. Above was when jack got the check, and also a 3 way call with him Alex and my fiancée’. ‘It's all lies and and an attempt to blackmail and tarnish our image. We have contacted the Nigerian security agencies including the DSS and EFCC who are all on the matter at the moment and preliminary investigations already reveals that it's a group of impostors who may have duped ‘Sawhn Rene’ using Runtown’s name.